Venture beyond the usual sour-sweet varieties with this funky, savory fruit. For most, the word mango brings up a specific image: a fruit with green and red skin and an orange, sour-sweet interior. That describes a Tommy Atkins mango, the most common variety on an international scale due to its long shelf life and durability during shipping. Popular as it is from a commercial standpoint, it is universally considered a lesser mango by fruit enthusiasts. With a bit of hunting, you can find far superior mango varieties. One of the most unique is the kuwini mango. Known as Mangifera odorata, the Southeast Asian species has, as its name suggests, a pungent odor. Its scent is so strong that the tree can be identified just by how it smells. The aroma gets more intense as you cut into the fruit, releasing an odor that’s a mixture of mango candy, parmesan cheese, and durian. Much like the durian, there is a wholly unique flavor profile that comes from this funky fruit. The kuwini’s fibrous flesh has a savory-sweet flavor that resembles a cross between a juicy mango and an onion-heavy omelet. Not everyone is a fan, but many who acquire the taste of this fruit become addicted to that strange combination of flavors. The kuwini mango isn't easy to find, even in its native countries. Your best bet is to go public wet markets and use your nose. Watch out for unripe fruit: Its sap is poisonous. A good place to try and track down kuwini mango. 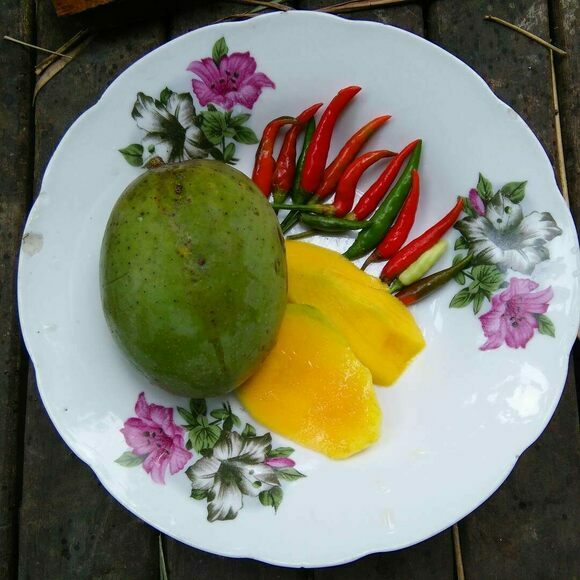 Find this rare, savory mango on the periphery of Borneo markets with other odorous fruit. A sweet-and-sour fruit soup from Iran makes for a comforting one-pot meal. You can only nibble on this citrusy-cheesy fruit or risk a mouthful of spikes.